Douglas F. Riley died Thursday, April 11, 2019. He was predeceased by his parents, Clara and Charles Riley Sr.; his daughter, Elaine Stewart; his brother, Charles Riley Jr., and his mule, Ramie. Douglas is survived by his loving wife, Elinor Riley, of Auburn; his son, James (Florence) Riley, of Sennett; his daughters, Sharon Riley, of Auburn, and Judy (Ken) Davis, of Auburn; his brother, Norman (Margaret) Riley, of Ohio; his grandchildren, Brandon (Liz) Stewart, Kim (Ken) Rink, and Jeff (Anna) Riley; five great-grandchildren, and a special son-in-law, Rick Stewart. Douglas was born in Sennett in 1920 and operated a dairy farm on Depot Road with his brother, Norm, for many years. In 1946 he joined the Sennett Volunteer Fire Department and until his death was the only living charter member. In 1955 Doug left the fire department to run for the town council of Sennett. Shortly after he became a member of the Sennett Town Board. 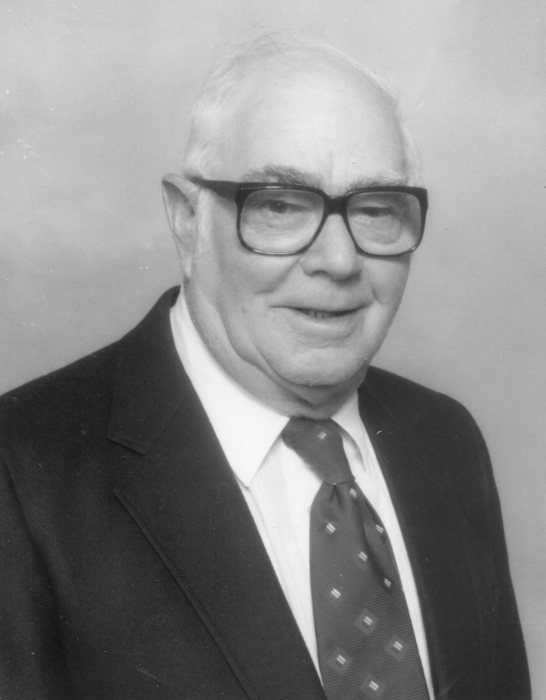 Doug served on the town council for 25 years. In 1996 he was elected to the town assessor position. After selling the farm he worked at various jobs including Frazer & Jones, Ward Trucking,and Auburn Tank. One of his proudest achievements was going to Mississippi to help rebuild homes after Hurricane Katrina. Doug went on many trail rides on his mule, Ramie and loved every minute of it. His favorite times were at Bear Swamp with Ramie and his uncle, Howard. Doug was the “Mr. Fix It” of Sennett. If it was broke he could fix it. He graciously remembered those with whom he was associated and enjoyed and loved doing anything for anybody. Calling hours for Doug will be held from 2 to 4 p.m. on Monday, April 15, in Sennett Federated Church, followed by a funeral service at 4 p.m. Burial will take place in spring at Sennett Rural Cemetery. Donations in Doug’s memory may be made to Sennett Federated Church, 7777 Weedsport-Sennett Road, Weedsport, NY 13166. Arrangements are with White Chapel Funeral Home, Weedsport.